provision of all regulatory documentation including lodgements with WorkCover, tip receipts, information letters to neighbours, independent inspections and clearance certificates. 0414 012 747 or send an email to admin@aboutthehouse.net.au to discuss your requirements. About The House work together with registered hygienists and accredited testers to conduct asbestos testing on hazardous materials. We can visit your site, take samples and have results returned to you within 48 hours. Please contact us on 0414 012 747 or send an email to admin@aboutthehouse.net.au to discuss your requirements. 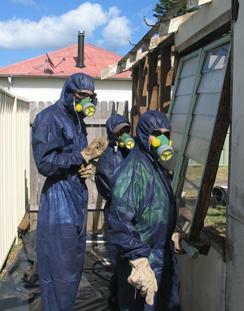 From July 2012 WorkCover has mandated that all registered asbestos removal jobs are finalised with an independent inspection and clearance certificate confirming the site is safe to be re-occupied. About The House will organise this for every job and copies of clearance certificates will be provided to our customers. About The House are also qualified to conduct inspections and provide clearance certificates on jobs completed by other removalists. Please contact us on 0414 012 747 or send an email to admin@aboutthehouse.net.au if you require an independent inspection and clearance certificate. 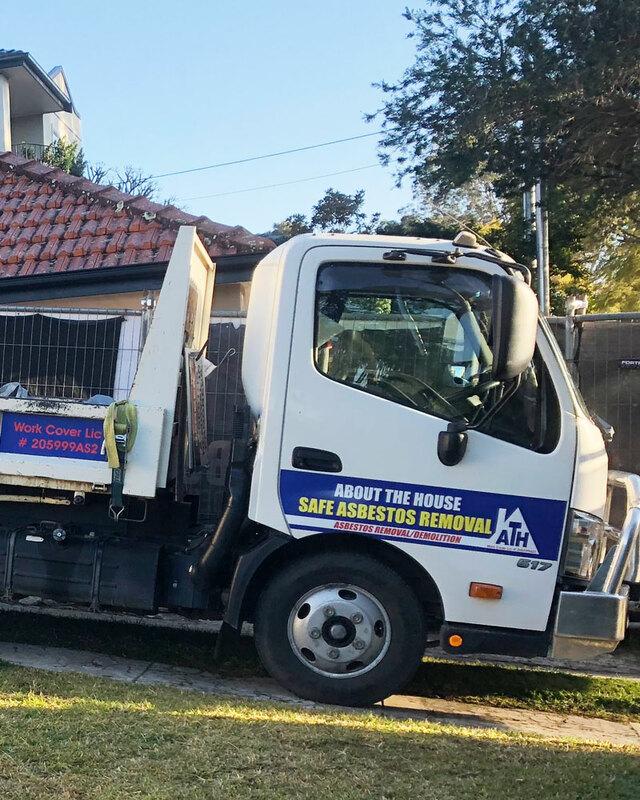 About The House carry out demolition and general rubbish removal from whole house demolition to general household rubbish. Servicing Sydney, Central Coast and Newcastle, please contact us on 0414 012 747 or send an email to admin@aboutthehouse.net.au to discuss your requirements.